John Pucher is professor emeritus at the Bloustein School. He was a professor at Rutgers University from 1978 to 2014, conducting research on urban transportation in the United States, Canada, Australia, and Europe. Over the past 15 years, John’s research has focused on walking and bicycling, and how to improve their safety and convenience for all age groups, for women as well as men, and for all levels of physical ability. He encourages walking and cycling for recreation as well as for practical trips to work, school, and shopping to increase physical activity and to help people toward healthier lifestyles. John has published three books and over 100 articles in academic and professional journals. His most recent book is entitled “City Cycling,” published by MIT Press in 2012. John has spent several years as a visiting professor at universities in Germany, Canada, and Australia, and most recently at the University of North Carolina at Chapel Hill, where he was visiting professor of city planning and transportation. In 2015 John retired from Rutgers University and moved back to Raleigh, North Carolina, where he grew up. He continues to do research on sustainable transport policies around the world, and is currently working on three funded projects: “Transforming Urban Transport: The Role of Political Leadership” for Harvard University and the Volvo Foundation; “Lessons from western EU cities for eastern EU cities” for the European Union and UN Habitat; and “2016 Benchmarking Report for Walking and Bicycling in the US” for the Alliance for Biking and Walking and the Centers for Disease Prevention and Control. He is also working with German, Swiss, and Austrian colleagues on a comparison of the successful transport policies and increasingly sustainable travel behavior (more walking, cycling, and public transport use) in Berlin, Hamburg, Munich, Zurich, and Vienna. In the coming years, however, he plans on increasingly focusing his efforts on improving bicycling and walking conditions in the Southeast, where he is now living. John Pucher retired December 2014. 2013: City Cycling. Cambridge, Mass: MIT Press. October 2012. 393 pages. Edited jointly with Ralph Buehler. Includes six chapters co-authored by Pucher. 2013: “Cycling in Megacities: London, Paris, New York, and Tokyo,” in City Cycling, Cambridge, Mass, MIT Press, October 2012, pp. 319-346, with Emmanuel de Lanversin, Takahiro Suzuki, and John Whitelegg. 2013: “Promoting Cycling for Daily Travel: Conclusions and Lessons from across the Globe,” in City Cycling, Cambridge, Mass, MIT Press, October 2012. pp. 347-365, with Ralph Buehler. 2013: “Big City Cycling in Europe, North America, and Australia,” in City Cycling, Cambridge, Mass, MIT Press, October 2012, pp. 287-318, with Ralph Buehler. 2013: “Integration of Cycling with Public Transportation,” in City Cycling, Cambridge, Mass, MIT Press, October 2012, pp. 157-182, with Ralph Buehler. 2013: “International Overview: Cycling Trends in Western Europe, North America, and Australia,” in City Cycling, Cambridge, Mass, MIT Press, October 2012, pp. 9-30, with Ralph Buehler. 2013: “Introduction: Cycling for Sustainable Transport,” in City Cycling, Cambridge, Mass, MIT Press, October 2012, pp. 1-8, with Ralph Buehler. 2012: “Bicycling Trends and Policies in Large North American Cities,” Report prepared for the U.S. Department of Transportation, Washington, DC, and the University Transportation Research Consortium, New York, NY , March 2011 (with Ralph Buehler). 2017: “Cycling Towards a More Sustainable Transport Future,” Transport Reviews, Vol.37, No. 6, November-December, pp. 689-694. 2017: “Vienna’s Path to Sustainable Transport,” International Journal of Sustainable Transportation, Vol. 11, No. 4, pp. 251-271. 2017: “Trends in Walking and Cycling Safety: Recent Evidence from High-Income Countries With a Focus on the United States and Germany,” American Journal of Public Health, Vol. 107, No. 2, February, pp. 281-287. 2017: “Reducing Car Dependence in the Heart of Europe: Lessons from Germany, Austria, and Switzerland,” Transport Reviews, Vol. 37, No. 1, January-February, pp. 4-28. 2016: “Safer Cycling Through Improved Infrastructure,” American Journal of Public Health, Vol. 106, No. 12, December, pp. 2089-2091. 2013: ” 难以抵挡的骑行诱惑：荷兰、丹麦和德国的自行车交通推广 经验研究 ” Urban Planning International, Oct. 2012, Vol. 27, No. 5, pp. 26-42 (with Ralph Buehler). In Chinese. 2013: “Making Cycling Irresistible: Lessons from the Netherlands, Denmark, and Germany,” Urban Planning International, Oct. 2012, Vol. 27, No. 5, pp. 26-42 (with Ralph Buehler). In Chinese. 2013: “How to Increase Bicycling for Daily Travel,” Active Living Research Brief, refereed, May 2013, Robert Wood Johnson Foundation, jointly with Jennifer Dill and Susan Handy. 2012: “Active Travel in Germany and the USA: Contributions of Daily Walking and Cycling to Physical Activity,” American Journal of Preventive Medicine, Vol. 40, No. 9, September 2011, forthcoming (with Ralph Buehler, Dafna Merom, and Adrian Bauman). 2012: “Cycling Down Under: A Comparative Analysis of Bicycling Trends and Policies in Sydney and Melbourne,” Journal of Transport Geography, March 2011, pp. 332-345 (with Jan Garrard and Steven Greaves). 2012: “Making Public Transport Financially Sustainable,” Transport Policy, Vol. 18, No. 1, January 2011, pp. 126-138 (with Ralph Buehler). 2012: “Sustainable Transport in Germany: Lessons from Germany’s Environmental Capital,” International Journal of Sustainable Transportation, Vol. 5, No. 1, January 2011, pp. 43-70 (with Ralph Buehler). 2011: “Infrastructure, Programs and Policies to Increase Bicycling: An International Review,” Preventive Medicine, Vol. 50, No. S1, January 2010, pp S106-S125 (with Jennifer Dill and Susan Handy). Prepared for the Active Living Research Program of the Robert Wood Johnson Foundation. 2011: “Walking and Cycling for Healthy Cities,” Built Environment, Vol. 36, No. 4, December 2010, pp. 391-414. 2011: “Walking and Cycling to Health: Recent Evidence from City, State, and International Comparisons,” American Journal of Public Health, Vol. 100, No. 10, October 2010, pp. 1986-1992 (with Ralph Buehler, David Bassett, and Andrew Dannenberg). 2010: “Cycling in New York: Innovative Policies at the Urban Frontier,” World Transport Policy and Practice, Vol. 16, summer 2010, (with Lewis Thorwaldson, Ralph Buehler, and Nick Klein). 2010: “Bike-Transit Integration in North America,” Journal of Public Transportation, Vol. 12, No. 3, 2009, pp. 79-104 (with Ralph Buehler). “Promoting Walking and Cycling for Sustainable Cities: Lessons from Europe and North America,” public lecture given at Harvard University on Oct. 15, 2012, jointly sponsored by the Harvard Graduate School of Design, the Harvard Kennedy School of Government, the MIT Department of Urban Studies and Planning, the Livable Streets Alliance, MassBike, WalkBoston, the Boston Cyclists’ Union, and the Sierra Club. “Making Public Transport Financially Sustainable: Lessons from Germany,” public lecture presented at the UCLA Lake Arrowhead Conference, “Financing the Future,” Oct. 28-30, 2012. Click here for PDF. “Walking and Cycling for ALL New Jerseyans,” keynote address for the New Jersey Bike and Walk Summit, Trenton, NJ, February 26, 2011, organized by the NJ Coalition for Biking and Walking. Click here for PDF. “Walking and Cycling for Healthy Cities,” public presentation for the San Diego Association of Governments (SANDAG) and the Active Living Research Program of the Robert Wood Johnson Foundation and San Diego State University, San Diego, California, August 23. Click here for PDF. 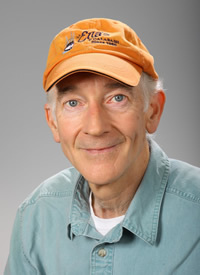 “Infrastructure, Policies, and Programs to Promote Cycling,” 4-minute interview of John Pucher for Active Living Research program of Robert Wood Foundation in San Diego California, August 23, 2010. Click here for video of talk. “Biking for All Texans: For Health, for Fun, for Transportation,” keynote address for the Texas Trails and Active Transportation Conference, organized by Bike Texas, Texas Trails Network, and the Texas Active Living Network, Austin, Texas, February 3-6, 2010. Click here for PDF. “Bike-Transit Integration in North America,” paper presented at the annual conference of the Transportation Research Board, National Academy of Sciences, Washington, DC, January 2010. Click here for PDF.